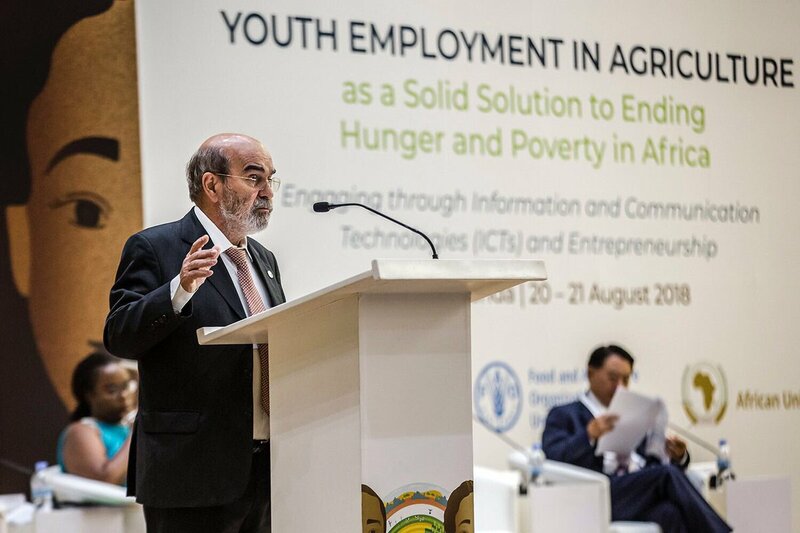 Africa’s young people are key to achieving the continent’s sustainable development, but realizing this great potential requires creating more jobs for them including in the increasingly digitalized agriculture sectors, FAO Director-General José Graziano da Silva has said. However he said that to be able to create such jobs, some constraints that become a bottleneck which impede young people to start an agricultural business of their own need to be addressed. 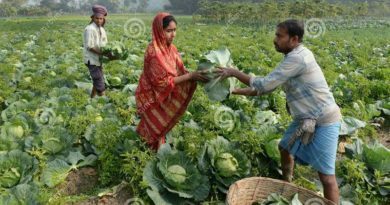 “The constraints that often lead to young rural people to migrate some are observed by how young people are usually employed on a casual or seasonal basis, with limited access to relevant education and technical training; limited access to finance, information and markets; and low involvement in decision-making processes,” he said during the recent international conference themed “Youth Employment in Agriculture as a Solid Solution to ending Hunger and Poverty in Africa in Kigali”. 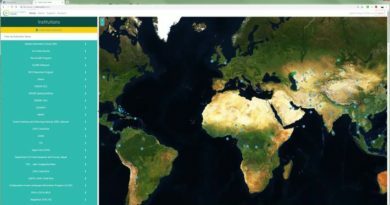 He noted that there is need to take action to make agriculture more attractive to young people: “They must perceive agriculture as a remunerative and profitable sector and the dissemination of information and communication technologies (ICTs) in rural areas play an important role in this regard,”. Thinking beyond farm jobs and to explore employment opportunities across the agri-food chain, he added, the increasing demand for high-value products in urban areas also offer multiple employment opportunities in processing, distribution, marketing and retailing of food products. 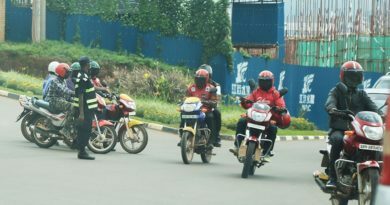 Africa’s youth population expected to double to over 830 million by 2050. 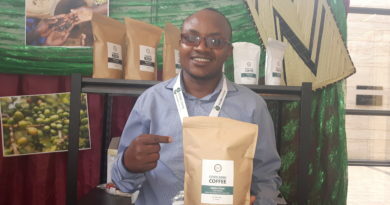 Experts say this doubling could accelerate agribusiness if more youth join the sector. However, only three million formal jobs are created, annually, despite the fact that 10-12 million youth seek to enter the workforce each year, according to Africa Development Bank (AfDB). 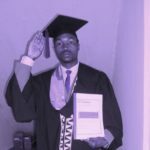 Graziano da Silva, said that in the next 15 years, nearly 220 million young people will enter the labour market in Sub-Saharan Africa alone. 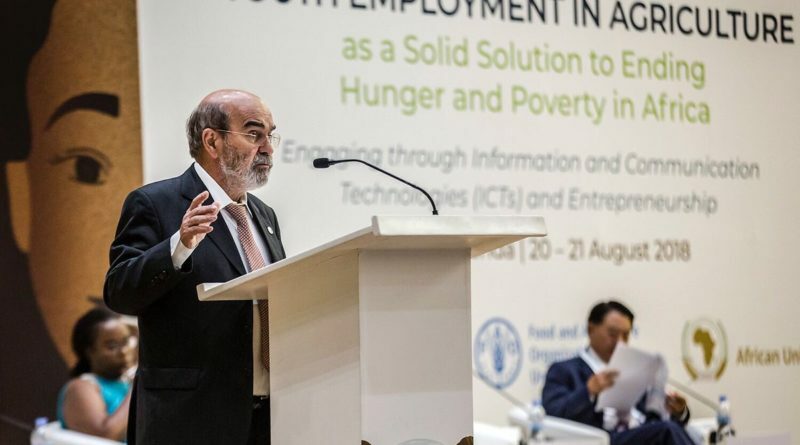 The agricultural sectors have thus “an invaluable and untapped potential to address the youth unemployment challenge, but it is well-known that young people seeking to gain a decent livelihood from agriculture face numerous constraints, he said.